But there is a far darker side to this father of high fantasy. For one thing, he was a raging imperialist. Look at the hierarchies between the races: from the “superiority” of the elves, to the “chosen” role of European “Men of the West” under the leadership of Aragorn, to the lesser races of Dwarves and Hobbits (the former are “lesser” because they are “too greedy” and the latter are “lesser” because they are children). Post-Colonialists look to the “orientalization” of Sauron’s forces and the configuration of evil as an inherent quality of Orcs and “the dark folk.” They point out Tolkien’s family’s history as a cog in the mechanism of English Imperialism, and his own birth in one of the most blatantly racist colonies of all, South Africa. Then we come to the feminist critique: feminist there are precious few women in LotR, and those who are present fulfill only the narrowest stereotypes. Éowyn’s strength is dependent upon adopting male qualities, a stereotype “powerful women in fantasy,” and she is alone amongst all of Rohan’s female population. Everyone else is a reason to fight for the men. Arwen’s place is a maiden waiting for the hand of her king. And the only powerful female, Galadriel, is too far removed from mortality and reality to be anything more than a mid-tale deus ex machina, a pseudo-god whose power is allowed only because it is arcane and mysterious; not to mention she is “terrible”. Tolkien’s disappointing views on women are encapsulated in this touching essay I found. So many women are simply — well — missing. Where are the wives and the sisters and the maids? Why did he not bother with them? Tolkein, we must remember, was straight, white, male, cis, Catholic, and British at the end of its imperial might. His views were essentially Victorian, and I think it is very telling that his book is so popular among the straight, white, male, cis, Anglo nerdy GamerGate types. These are harmful, archaic, obsolete attitudes being normalized and perpetuated in a book that uses elegant prose to hide its extraordinary violence. I think it’s time we stopped it with the white men in the classrooms. Why should women, queer people and PoCs have to learn about a book because it was written by a white man and millions of white men thought it was good? It is wrong that we think we can push our evidently problematic preferences on to you. Let’s remove our “good” white writers from the classroom and the libraries and allow more diversity. It can only be healthy, and it might change attitudes. This is absolutely ridiculous. 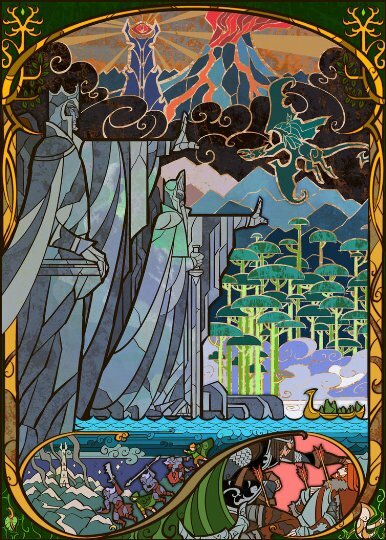 Tolkien Brought to light real life conditions and broke barriers using fantasy. Use your brain. Point 1: “There are hierarchies, and that proves he is Imperialist.” Completely wrong. There are hierarchies but those are man made in Tolkien’s world. If Tolkien was Imperialist, then why does the whole Fellowship consist of different “races” and why do Hobbits (seemingly the lowest among everyone) end up receiving the highest honor and destroying the ring when no one else could? Point 2: “Orcs are the dark folk.” Um yeah they are the incarnation of what happens when evil conquers a person’s mind or when people mistreat others so bad, it ruins them. Read up on the Simarillion and learn that Orcs are actually elves who came in to Melkor. Just because something is called evil and dark does not make Tolkien imperialist or racist or anything negative. Point 3: There isn’t enough focus on women. This claim is the dumbest thing I’ve ever heard. You know what? There were 3 main women presented in LOTR and at least 1 more in Simarillion. All of these ladies stand out far above the hoards of males in the books. Quality over quantity. Arwen did not simply wait for Aragorn. She saved Frodo so without the quest would have failed. Éowyn is strong and brave in a time when women were looked to be frail (Since Tolkien wrote that shouldn’t that mean he was trying to tell his audience something – like women are equal and as capable as men to fight for country?) Finally, Galadriel – um she is one of the oldest Elves left so yeah she is super powerful and she did so much in Simarillion it’s ridiculous. Point 5: It is very presumptious (as well as sexist, racist and dare I say it just plain bigoted) to say all of these things about a man just because he is a white man who was Catholic. You made it very clear your prime reasoning for your thoughts was based on this. Leave Tolkien and his masterpiece fantasy alone. Go tackle something that matters. By the way, I am a woman. This is a joke, right? the LOTR books and movies are loved by people of all genders and ethnicities. Including a brown skinned Pakistani immigrant like me. And just because something from pop culture doesn’t fuel your social activism, that doesn’t mean it shouldn’t be allowed to exist. These stories are already so damn long. You want them to be even longer with pointless subplots for female characters that don’t need to be story?